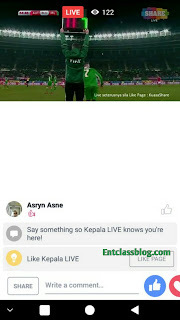 Stream live matches online has been made quite easy since the availability of free stream apps and websites. Only a few people still know that they can actually stream a full match on Facebook for free. Facebook as a social media site is now taking over the video niche. You can use Facebook to stream any live match, be it EPL, UCL etc. Unlike other streaming sources, you won’t be afraid of Data zap as it zaps a reasonable amount of data (at most 300MB) for a full match. Do you know why it’s so? Because the live stream is not in HD. 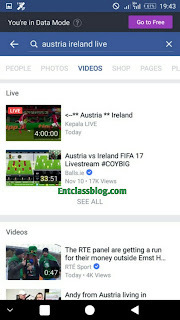 In this post, I will quickly show you how to stream live matches for free directly on Facebook app. It’s very simple, all what you need to do is to search and add “Live” to any ongoing match. And the live videos will come up from the search result. Take for example; Tottenham Arsenal live. I hope you found this post useful? Please leave a comment below and don’t forget to share this post.